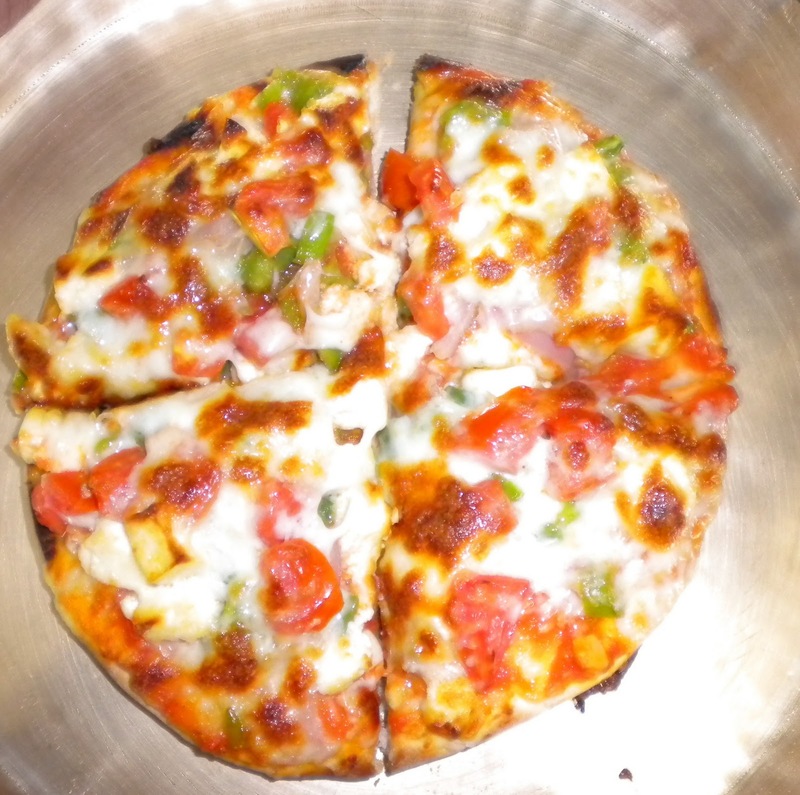 Hii , in this post we will learn how to make some amazing PIZZA's, This will serve one. Now take olive oil in a pan add garlic and chilli paste fry it out and finally add the tomato puree. cook for sometime unless you get a thick paste . Now sprinkle rest of the cheese over the toppings. Once u r done with spreading put the tray in preheated oven. Bake the pizza for next 10 min at 180 degrees. U will see the cheese melting and the topping getting a good sizzling with it. If u wanna learn how to make home made pizza base..... just comment and get to know the rest.